Hidden Camera Films Eric Clapton’s Latest Performance Of “Sunshine Of Your Love” And It Proves He’s Still The Best! As if I need to convince you at all of just how amazingly amazing the amazing Eric Clapton is at being amazing. It goes without saying that Eric Clapton will go down as one of the single greatest guitarists of all time. His style, sound, and charisma are often imitated, yet never duplicated. He is one of the best, pure and simple. One of the best things about Eric Clapton is the fact that all these years later, he is still going stronger than ever. He’s simply one of those musicians that will forever be timeless. then again, you already knew this. Like I just said, Eric Clapton is still putting on clinics around the globe. His latest performance was even caught on camera where he took to the stage at The Royal Albert Hall to perform one of his most iconic hits Sunshine Of Your Love. 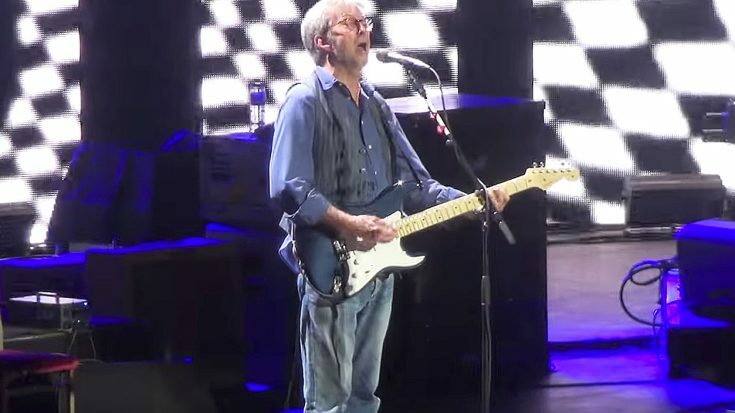 After seeing this performance, you’ll be convinced that Eric Clapton hasn’t lost it at all! Don’t believe me? See for yourself!